Brand new (launching JAN 2019) GREEN TEA LEMON: The wonderful citrus aromas of this brewed green tea and tingling, fresh lemon peel complement one another perfectly. 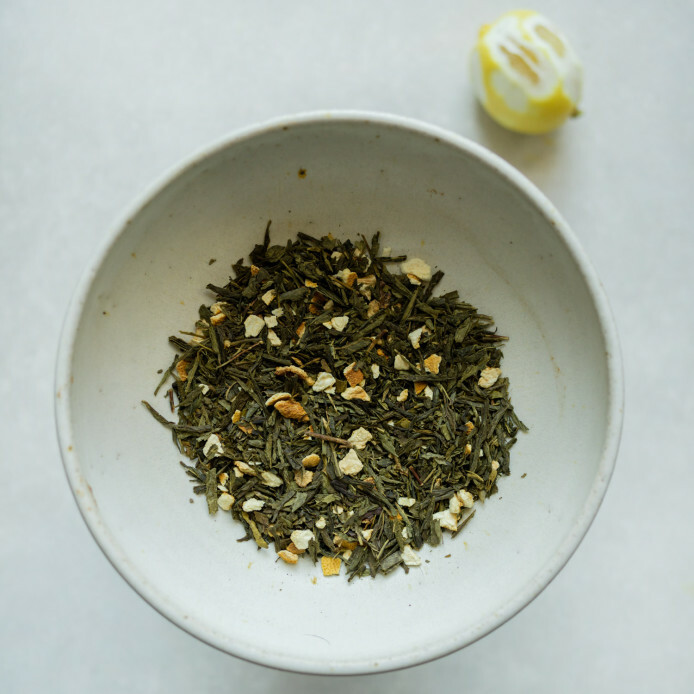 We started with a tea base of a light Sencha Green Tea from China, the addition of lemon peel & natural lemon flavour gives this tea the refreshing aroma and flavour of real citrus lemon, with a delightfully sherberty sweet mouth feel lifted by the freshness of the lemon. Not too dry or too citrusy, a great all rounder! We think it's a beautiful pairing and the reason it took us so long to launch our own, was down to the flavour of the lemon, we knew we wanted a natural, fresh lemon taste from the brewed tea and we have got it now! The naturally occurring antioxidants in green tea are also boosted with the addition of lemon, which is full of important nutrients, definitely worth making one swap and enjoying one cup of green tea per day. ATTENTION all advent calendar owners - you guys are our first tea tasters!!! We would love really love to hear your thoughts on this brand new blend before anyone else, leave us a comment to let us know! Don’t panic if you didn’t get an advent calendar. This tea will be launched in January and you can get your hands on it then…. Can’t wait until January? Today's competition could mean that you win the first ever bag of green tea lemon... head over to our facebook page to enter! For anyone who finds green tea to be an acquired taste, temperature and brewing time are very important. Off the boil, or boiled then a dash of cold water added, brewing time should be up to but no longer than 5 minutes, we find 3 minutes to be perfect. Brew 2-3g of green tea lemon with 200ml of water at a temperature between 75 and 80 degrees and leave to infuse for 3 to 4 minutes. One heaped teaspoon per cup, allow the freshly boiled water to cool for one minute, if (like me) you can't wait, a splash of cold water on the loose leaf tea in the pot first with protect the leaves and cool the water, allow to infuse for up to 5 minutes depending on preference. I love it about 4 minutes, also perfect for rebrewing! This tea can be served cooled to make a refreshing iced tea drink when the sun shines! For one Jug of Iced Tea - add 8g of loose leaf tea to the jug, gently pour 1 cup of hot water first onto the tea leaves, next add 3 cups of cold water, place in the fridge and let it brew, usually for 2 - 6 hours dependent on desired strength. Pour tea over ice cubes and Enjoy!